The weather is finally warming up which can only mean one thing- SUMMER IS COMING! 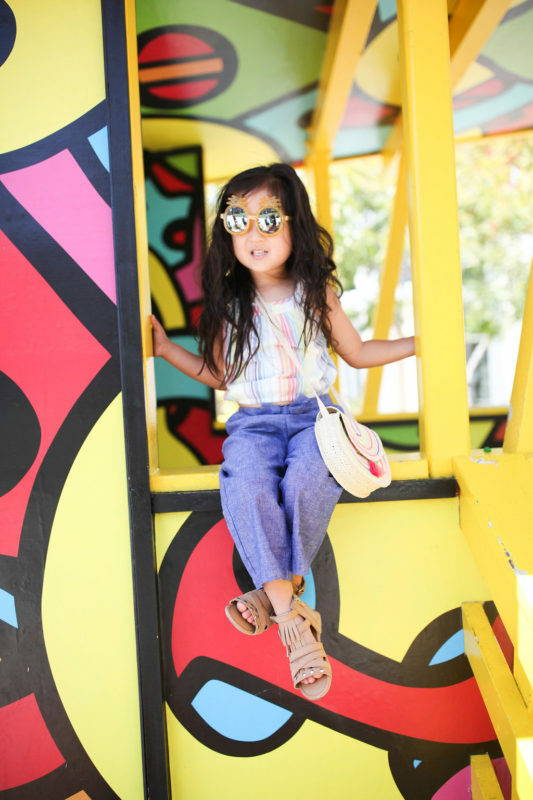 This summer you MUST check out Crazy8 for the most adorable, colorful and stylish kid’s summer fashion options! Crazy8 was generous enough to let us pick out an outfit for A and I had such a hard time picking an outfit! There were too many cute options but take a look at what we picked! 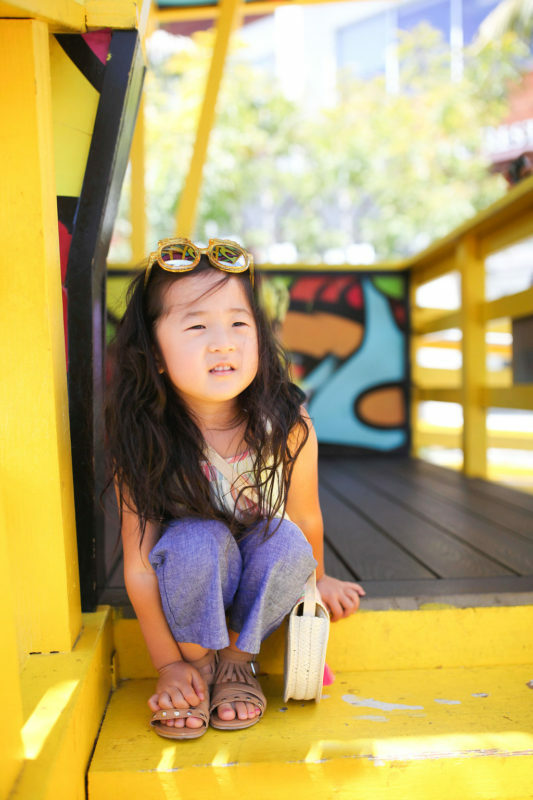 It’s always pretty sunny in Southern California so we picked these fun pineapple sunglasses to style her outfit. These would also be perfect for all her summer outfit to add some pizzazz! 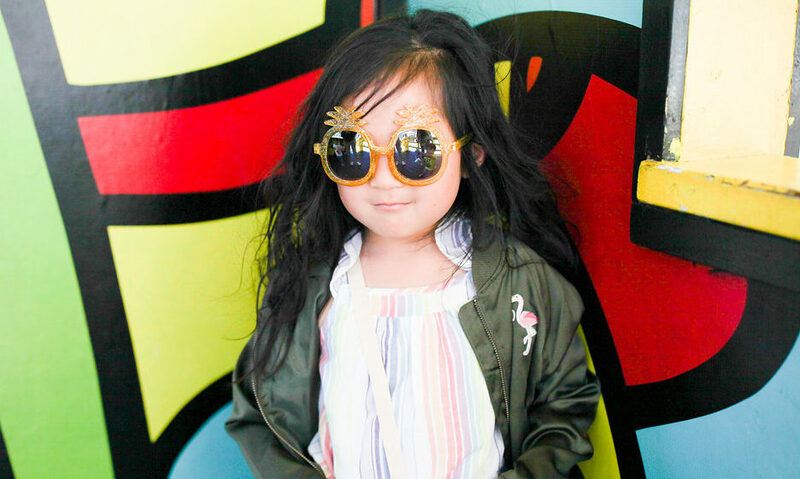 Nights can get a little chilly so this lightweight flamingo bomber jacket is perfect! I love that it’s a neutral color that will go with so many outfits and did I mention it’s satin? 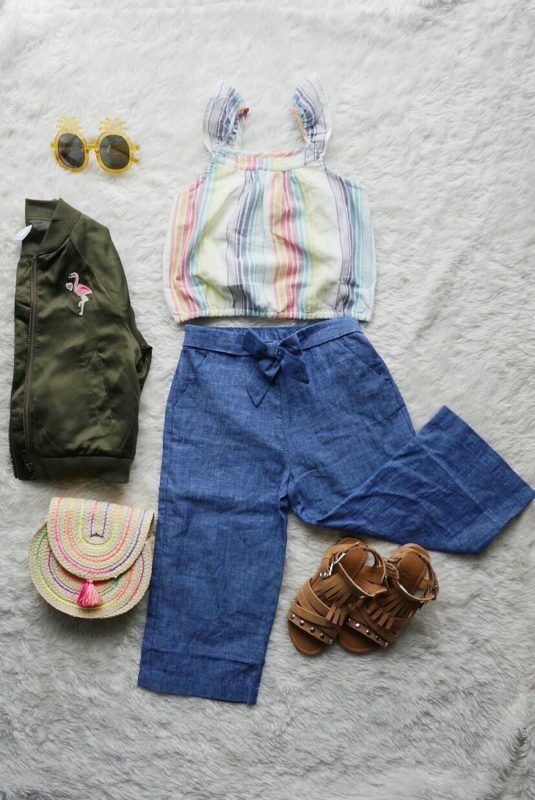 We also picked out this striped crop top and paired it with chambray culottes. I don’t usually pick out crop tops for A but I loved the pattern on this plus the sweet flutter sleeves! 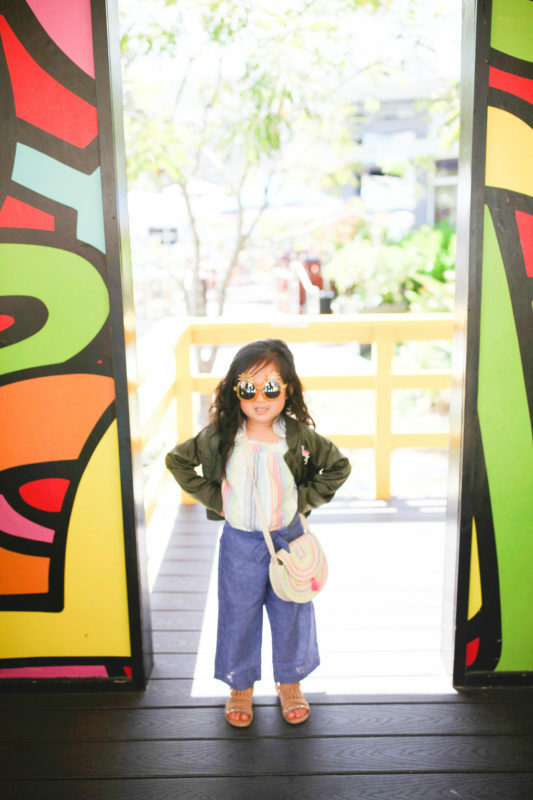 Culottes are so on trend right now and I wish they had these in my size! These fringe gladiator sandals complete her outfit and can also be styled with a variety of outfits all sumer long! This tassel straw bag is perfect to wear cross body and hold small toys and snacks so that I don’t have to hold them! 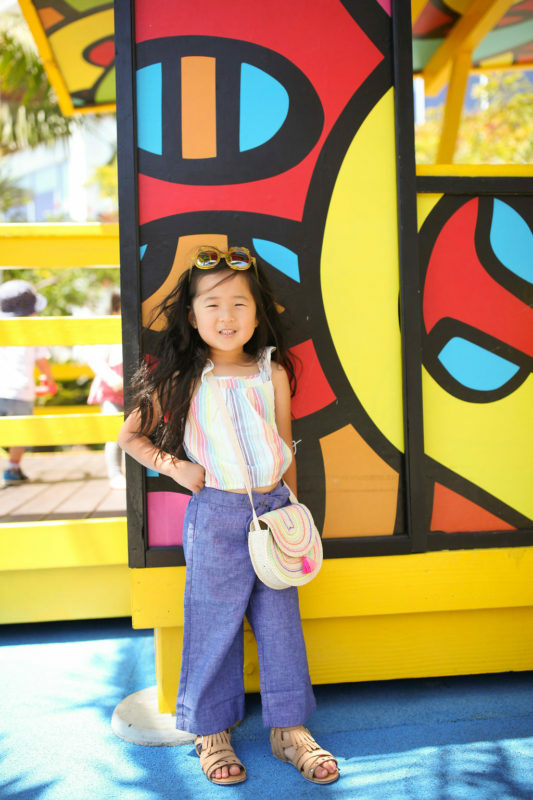 My favorite thing about all the kid’s summer fashion pieces from Crazy8 is that they are comfortable so that A can run around as she pleases! 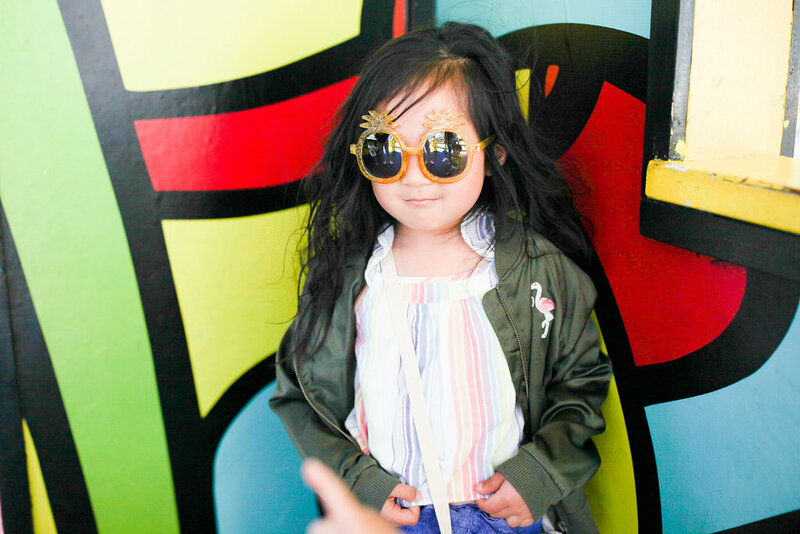 Usually kid’s clothes that are stylish and trendy can be uncomfortable or be itchy. Not the kid’s summer fashion choices from Crazy8! 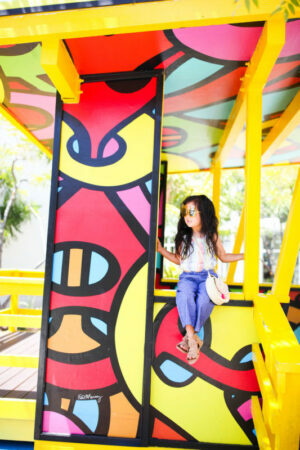 She can jump around, climb, play on the playground happily! I also love how affordable Crazy8 is and they have the most amazing sales! 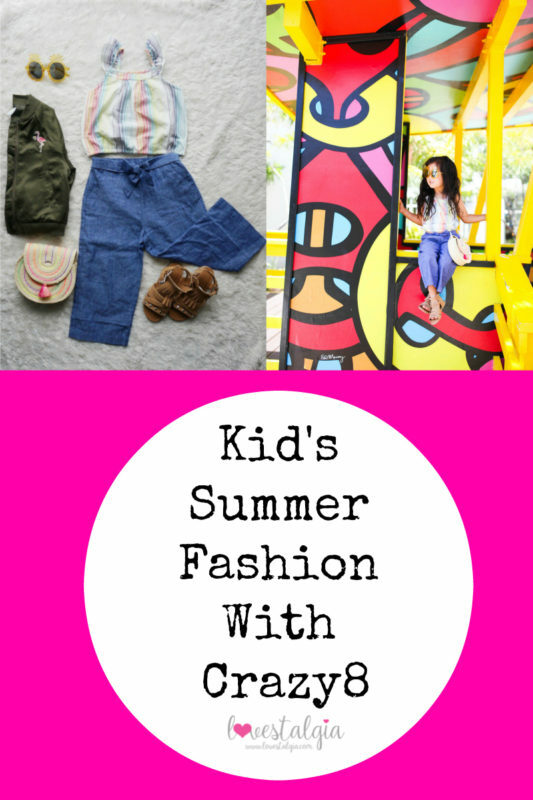 What are your must haves for your kid’s summer wardrobe? Photography by Annie Vovan Photography. Outfit and accessories provided by Crazy8. All thoughts and opinions are my own.